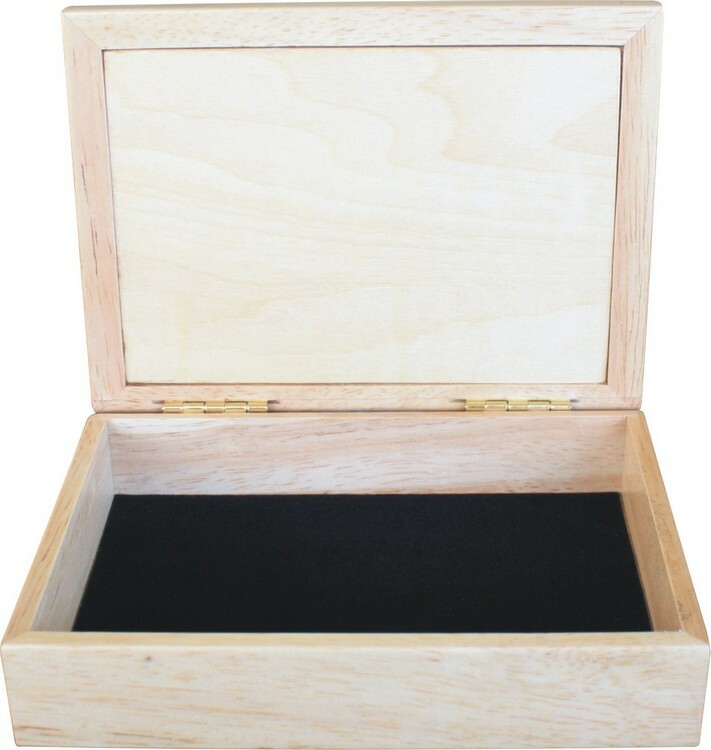 This elegant and complex design rendered with simple elegance on this jewelry box makes it the perfect gift for your girlfriend. Charm her this Christmas with this handcrafted jewelry box embellished with a token of your love. Make your girlfriend's Christmas very special this year with this unique gift. 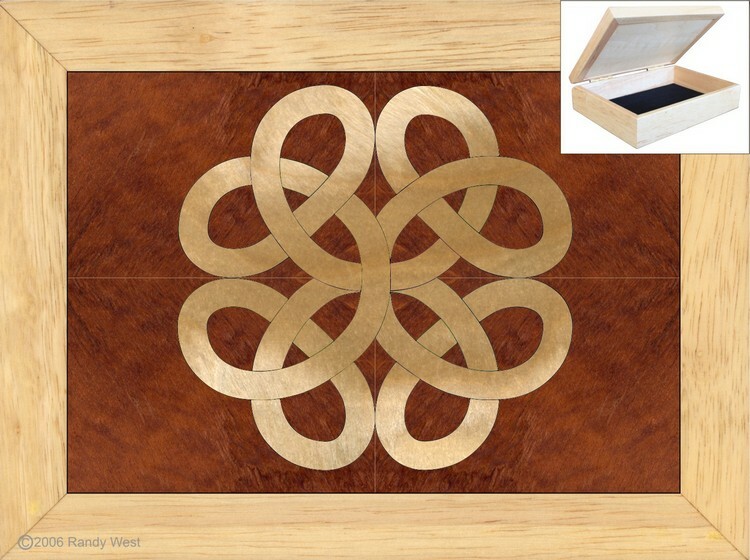 4 matching individual pieces of Kawazinga or Cuban Mahogany embedded with an Ice Berg Birch Celtic Lovers knot give shape to this eternal symbol of love. 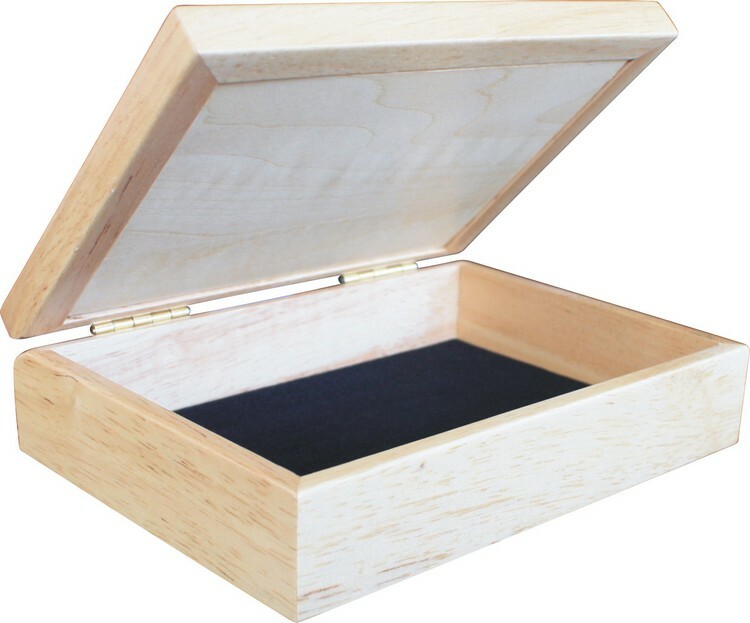 Painstakingly crafted showing 38 solitary pieces and using 3 unique wood species, this rubberwood framed design can be a souvenir for any couple that share their heart. The knot is a particularly tricky design to craft in wood designs and the contrast of Birch on a dark background makes for a stunning display to this complex piece of craftsmenship. This design has been crafted with the same love it is intended to blossom.